Everything's coming up rose gold! Have you seen it? 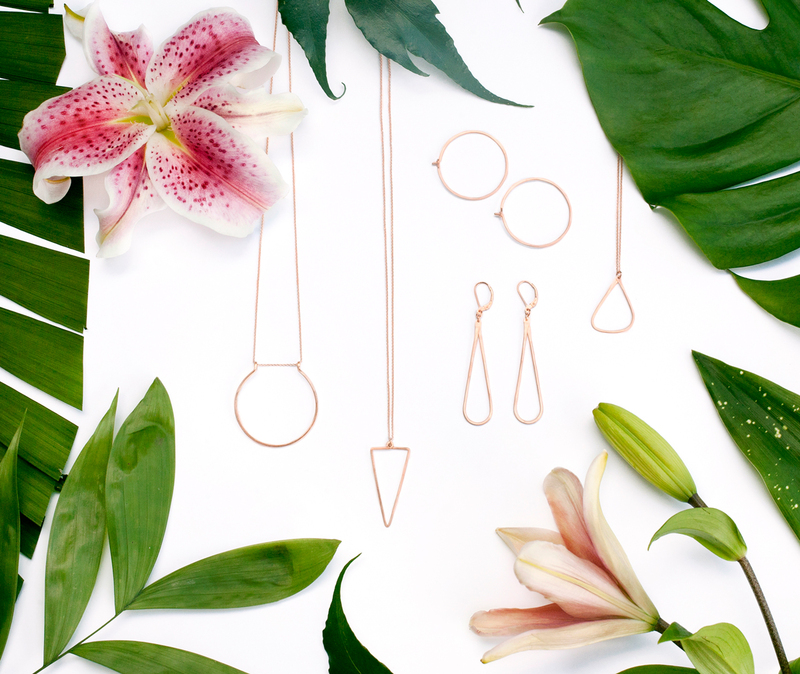 We now offer some of our favorite simple pieces in rose gold filled. Rose gold achieves its subtle pink hue by adding a bit of copper to yellow gold. "Filled" refers to the process of permanently bonding gold to jeweler's brass – it keeps the look and characteristics of solid gold but at a fraction of the price. It will not flake off, and it won't turn your skin green because it is nickel free and safe for sensitive skin! Rose gold is perfect to add a new dimension to your wardrobe! Check out a couple of our immediate favorites: the gather and the minimal large hoops. You can see our three metal offerings compared below!